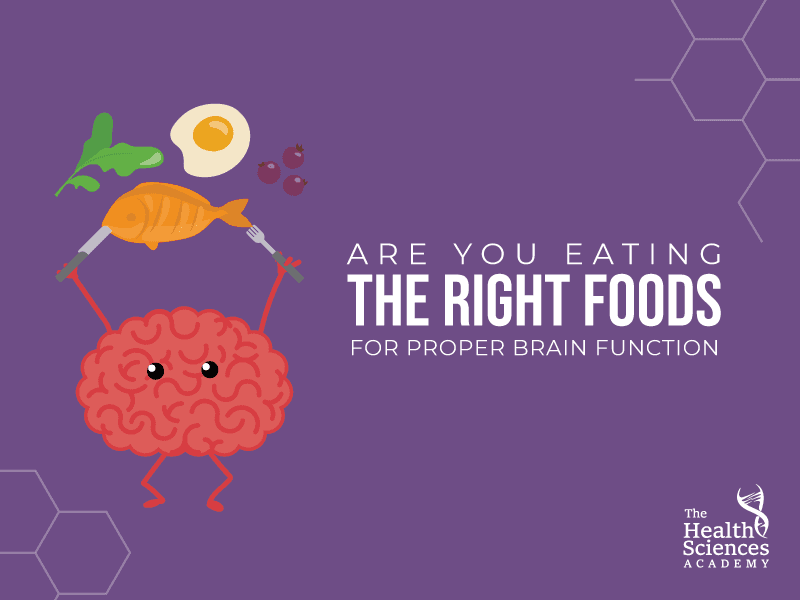 Are You Eating The Right Foods For Proper Brain Function? “You are what you eat… and so is your brain!" Your brain is always running 24/7, thus it requires a constant supply of fuel. The fuel and nutrients that it needs comes from the foods that you eat, which means that your diet has a huge impact on how your brain works. The foods that we eat can affect our brain function, our mood, our memory, and even out intellectual capacity. For your brain to be able to do its job, it needs the right nutrients, especially essential vitamins, minerals, antioxidants, fatty acids, and phospholipids. On the flip side, eating low-quality foods may have a detrimental effect on our overall brain function. That is why being mindful of how we feed our brain is very important. There is a very close relationship between your brain and your “second brain” – the gastrointestinal (GI) tract. This has something to do with your emotions and the foods that you consume. The GI tract holds trillions of bacteria and microscopic organisms that play a significant role in modulating the production of neurotransmitters like serotonin. Serotonin is also known as the “happy chemical”. When we eat healthily, it is more likely for the “good” bacteria to thrive. This, in turn, can have a positive effect on our mood regulation. On the other hand, eating junk food such as fries and high-fat, high-sugar items may promote the growth of “bad” bacteria and interfere with serotonin production. But when your neurotransmitter production is good, your brain may be able to receive positive and clear messages and your mood will reflect this. This is why a healthy diet is important. If you don’t stick to a healthy one, you may make yourself prone to mood fluctuations. Omega-3 fatty acids can provide many benefits. While Omega 3s are a big family of different kinds of fatty acids, your brain primarily uses two types of Omega 3: DHA and EPA. Research has consistently shown that Omega 3s, in particular DHA and EPA, can help improve learning and memory, and also reduce the risk of dementia, depression, attention deficit disorder, dyslexia, schizophrenia, and other mental disorders. This is due to the support that Omega 3 provides to synaptic plasticity, having a positive effect on how the brain operates. Studies of children have also demonstrated that those who increased their intake of Omega 3s did better in school – and not just with reading and spelling, but also with fewer behavioral problems. Getting your Omega 3s from the foods that you eat is ideal, because of the additional nutrients that come with them. However, for those with an Omega 3 deficiency in their diets, fish oil supplements can indeed be helpful. If you opt for an Omega 3 supplement, be sure that it states in the label that it is mercury-free. In order to plan a diet that is good for the brain, educating yourself on the latest science is the first step. Learning personalization strategies from our certification courses can also help you in setting a nutritional program that is tailored to your needs. Besides eating right, getting quality sleep, sufficient exercise, and some relaxation time every day may also help boost your overall brain function. There are many nutrients that may help protect the brain and reduce the risk of mental disorders. Some of the most notable effects have been observed from DHA and EPA, the two types of Omega 3 that the brain uses. Incorporating foods that are rich in these is important, and so is reducing the consumption of foods that have a detrimental effect, such as fried foods.